The building at 1017 Hancock Avenue was constructed in 1913 and is part of the City’s Craftsman District. The Craftsman style of architecture is characterized by simplified detailing and exposed structure elements. The Craftsman bungalow, due to its emphasis on nature and simplicity, was one of the most prominent residential styles in Southern California. The mild climate and interest in simple living combined to make the style attractive to all residents in the region, from the wealthy who built large, outstanding examples, such as the Gamble House, to the working class, who built homes that incorporated simpler versions of the same elements. 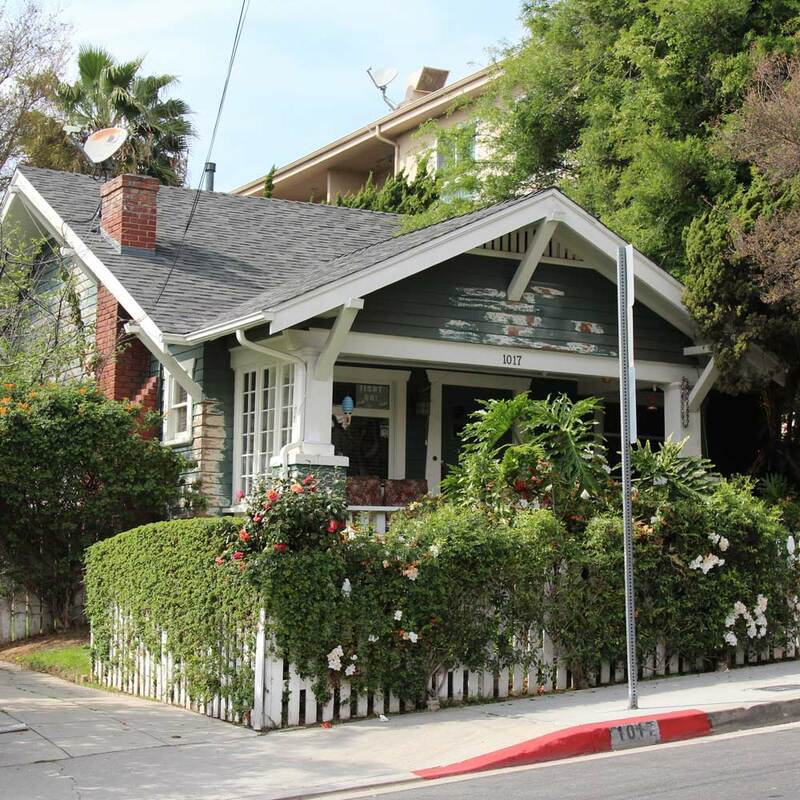 The Craftsman bungalow replaced the hip-roofed cottage as the housing type of preference in West Hollywood in the early 1910’s. Craftsman structures still exist throughout West Hollywood, with the largest concentration encompassing the area along North Hancock Avenue and North Palm Avenue. The majority of these homes were built in the area between 1910 and 1925 when the Town of Sherman began to expand. Built on the gently sloping foothills between Beverly Hills and Hollywood, this area enjoyed the quiet and fresh air of a rural environment, with proximity to the activities of Hollywood and Beverly Hills.